Lose bad habits and start shooting lower scores right now! Editor’s Note: In this series of can’t-miss tips from top-tier PGA teaching pro Brady Riggs, you’ll get all the ammo you need to hit the course with renewed skill and confidence. He identifies easy-too-miss flaws and, in a few short sentences, helps you smooth them out for lower scores and more fun. Time to bust bad habits! Enjoy. In golf, there are two mistakes you can make. The first is a mistake that's easy to identify. This is the stuff like swinging too hard and losing your balance, hitting the wrong club or even trying to finesse a shot that you shouldn't be doing. When these types of mistakes happen and the results aren't that great, in most cases, you'll know what to do to correct that mistake and move on. But what about the mistakes happening in your golf game that are harder to see? Are there any habits in your game that you're unaware of that are causing you to make mistakes? In the case of my students, I see bad habits all the time, oftentimes with my students having no idea what they are and the effects these habits have on their scores. Let's take a look at 10 habits that you should be aware of and the quick remedies you need to bust those habits and get on the road to lower scores. 1 ELIMINATE THE POP-UP: ADIÓS FOR GOOD! We've all seen this shot, and it ain't pretty. The pop-up usually is caused by a swing that's incredibly steep, which forces the top leading edge of the driver face into the back of the ball at impact. The result? A weak, popped-up drive off the crown of the club and an embarrassing idiot mark on the club. No bueno. The fix is a fairly simple one, however. To quickly put an end to the pop-up, consider widening your stance. Odds are, you habitually have a pretty narrow stance already, so widening your stance will add width to your swing and help prevent a steep path into the golf ball. Just remember, as you widen your stance, keep the ball in the proper position relative to your left foot, meaning, add width by moving your right foot, not your left. This will help you keep the proper ball position in your setup. 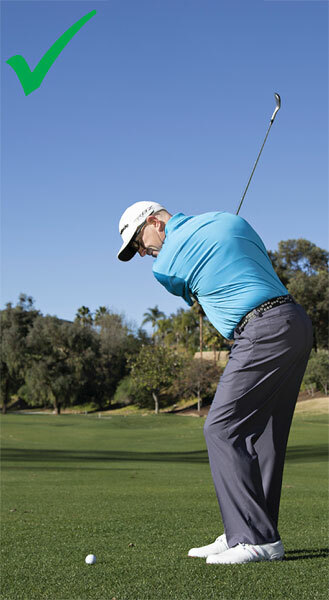 A wider stance will help you create a wider, flatter swing arc to stop the popped-up tee shot. Added width correlates to more clubhead speed, too. Stay wide through the finish, with a good extension of the arms. 2 THE CHRONIC SLICE: KILL IT! Slicing the ball is never fun, especially when you don't truly know why it's happening. You've probably heard that slices are caused by swinging the clubhead outside to inside the target line, right? But did you know that a slice actually can come from any type of swing path? Trust me, I've seem 'em all. 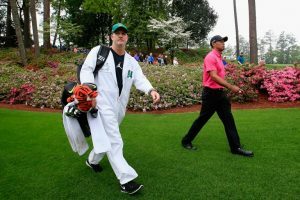 The key isn't so much the path, as much as it is the angle of the clubface relative to the path the clubhead is traveling on. For instance, you'll hit a big, sweeping, left-to-right slice if you swing outside to inside the target line with a clubface that's considerably open to that outside-in path. 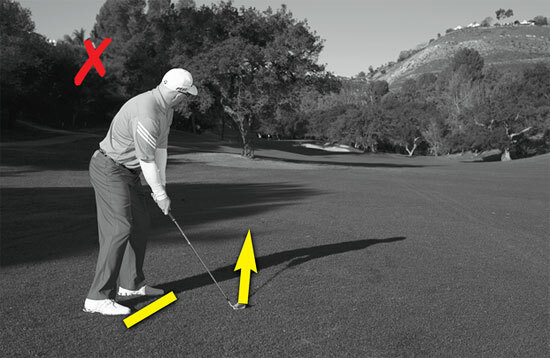 (If the clubhead is a little open relative to the path, you'll fade it.) Both a slice and a fade can be accomplished with a clubface that's closed relative to the target line, but open relative to the path the club is traveling on. Make sense? Since this is the case, the best way to fix a slice isn't to shut the clubface at address and hope for the best. Instead, practice swinging the club more from inside to outside the target line, with a clubface that's slightly closed to the path. And here's another secret. Hitting a draw is perfectly doable with a clubface that's slightly open relative to the target line. How so? Simple. As long as the clubface angle is closed relative to the path the clubhead is traveling on, the ball will have draw-spin. This means, even though the clubface is slightly open relative to the target line, it's still going to create a draw ballflight. So don't fuss over trying to close the clubface and hit the ball with a face that's slammed shut. Start by correcting your path first, then dial in the right amount of release in the hands and wrists. This, folks, is how you fix a slice forever. 3 SWING ALONG THE BODY LINE? NOT TODAY! This is one of the more common mistakes I see players make, especially the better ones, reason being, it sometimes actually works. To do this, you have to need to wrap the ball around an obstacle, which in my case here is a tree between my ball and the green. Swinging along the body line means aligning the clubface square to the target and orientating my body to the right of the target, and then swinging as normal. While this may sometimes work, I'm always afraid to start making unnatural adjustments to how I align my golf shots. In reality, I think it's best not to mess with what works. Instead of swinging along your body line, I prefer to aim at the target and simply swing a little more inside to out with a face angle that's slightly open relative to the target, but a little bit closed relative to my path. This creates a ballflight that starts more to the right and draws back in. Swing more inside-out, with a clubface that's slightly open to the target line. Once you start manipulating your stance, you run the risk of feeling uncomfortable not only for that particular shot, but for every shot afterward. So, stick with the stance you know works and adjust your path. In the long run, you'll be glad you didn't tinker with your setup, and you'll make a more confident pass through the golf ball. 4 THIN HYBRID HITS: NEVER AGAIN! Hybrids truly are wonderful clubs, but only if you know how to swing them properly. To do just that, consider swinging your hybrids more like you would a middle iron–not a fairway wood, not a long iron, but a middle iron! 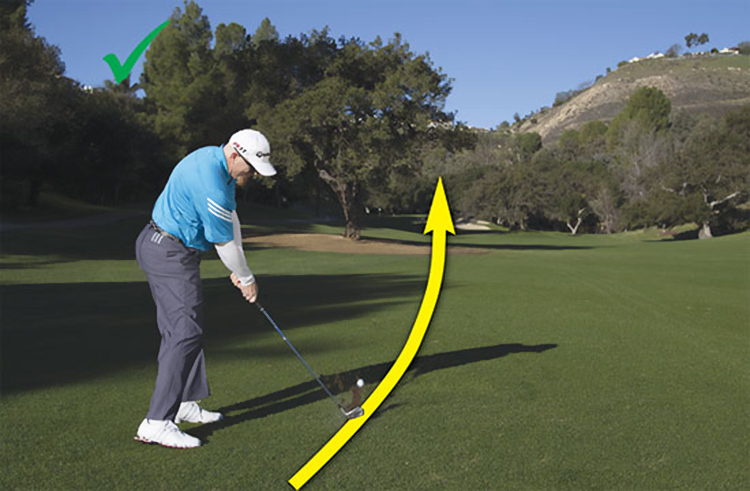 Swing down and into the golf ball with the shaft leaning toward the target at impact. And in case you're wondering, it's perfectly acceptable to make a divot with a hybrid. Most mistakes with hybrids come from trying to lift the ball up in the air by hanging back on your right side. Resist the urge to lift and start hitting down on that golf ball with some forward shaft lean at impact. You'll see higher, more spinny hybrid shots immediately. Hanging back is never a good idea! Trust the loft of your clubs and play the hands ahead of the golf ball. 5 THIN PITCHES: LOSE THEM! Wedge and hybrid shots don't have a whole lot in common, but a thin wedge and a thin hybrid shot generally come from the same mistake. In both instances, they come from trying to scoop and lift the ball into the air. With wedges, this type of mistake is even more penal, since the loft on the wedges are so great, you really run the risk of placing the leading edge of the wedge into the back of the golf ball. To stop hitting thin shots with your wedges, you first have to stop trying to lift the ball in the air, and instead, be confident in your wedge's loft and hit down and through the golf ball. Often, when golfers try to scoop the ball, they flip the hands in an attempt to add more loft a split-second before impact (as though 60 degrees isn't enough). Doing this means the club bottoms out behind the ball, leading to skulled shots and even fat shots more often than you'd like. To eliminate this bad habit, remember this. First, keep the body rotating through the shot. To do this, it may mean that you don't need as big an arm swing as you think. Keep the arms closer to the body and rotate more. Second, as you swing, be sure you hit the ball off your left side. Although it may be a soft wedge shot, like any other shot you play, always hit from your left side. To do this, it's perfectly acceptable to stay on your left side during the entire wedge shot. Hey, if that's what it takes to prevent the thin wedge shot, then do it. 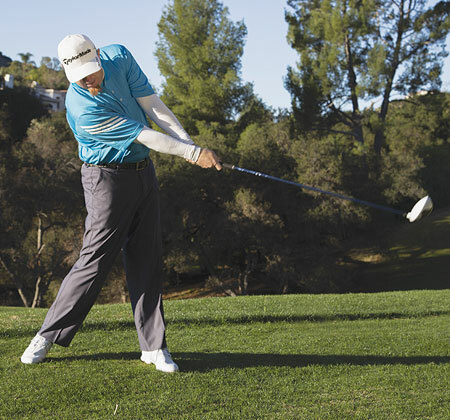 Stay left, rotate and finish with the hands ahead of the clubhead. 6 FLUBBED BUNKER SHOTS: NOPE! 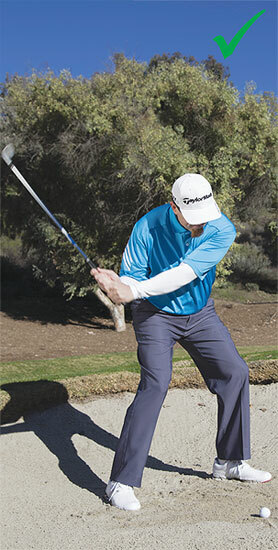 When it comes to bunker play, there's a lot of bad advice out there. One of my least favorite ideas is that to be successful in the sand, you have to be very aggressive in the sand and hit down hard with the arms with no release and push the sand up. 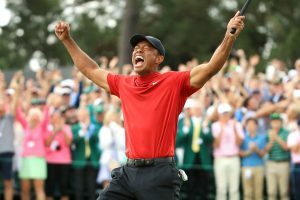 And while that may be true for some lies, generally, it's better to adopt a smoother, shallower swing in the sand with a full release of the hands through the shot. To practice a better bunker swing, find a practice bunker and start making some small bunker swings, barely clipping the sand at the base of your arc. I want you to let the hands release and start feeling as though the wedge is bouncing off the sand, not digging into it. 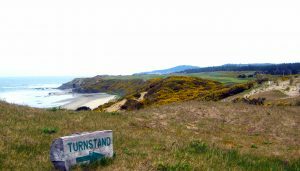 With practice, you'll start to develop that sound you sometimes hear when you watch your favorite players on the PGA Tour hit from the sand. When they hit a good shot, there's a noticeable "thump" as their wedges hit the sand and bounce back up. Swing a little shallower, activate your hands more, and practice making a "thump" and not a "thunk." 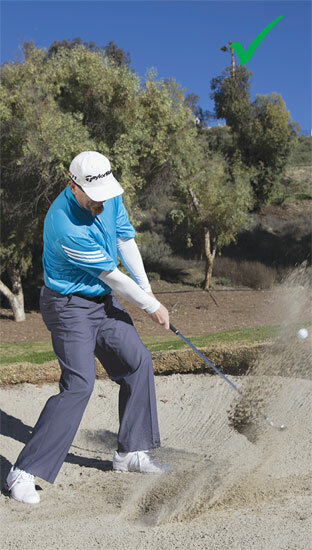 You'll quickly see that better bunker shots are a lot easier than you once thought. Notice how I'm making a real swing here. As I swing, I try and keep my weight centered and allow the hands to speed up. Although I hit down on the sand, I still release my wrists. This is key for success in the sand. 7 MISSED WEDGE SHOTS: ENOUGH ALREADY! Too often I see amateurs try and control their wedge shots with their hands. This causes a lot of problems with consistency and accuracy, and it's actually the opposite of what I think you should be doing from short range to the green. Instead, the next time you hit a wedge shot, don't get obsessed with hitting down on the ball with your hands or making a steep swing. 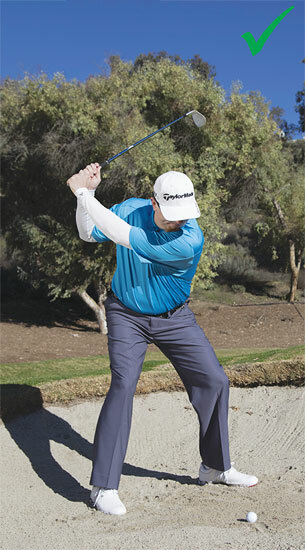 Allow the body to rotate and widen out your wedge swing. Think of your wedge as you would a longer iron and don't feel as though you need to finish in a high hand position. Practice rotating through with soft hands, and keep them low and away from your body through the finish. It may be a short wedge shot, but I'm clearly not afraid to make a full backswing turn. Check out how much I've rotated through impact. My hands are actually quite passive here. A nice finish over my left leg, with the hands away from the body. 8 CHILI-DIP CHIPS: JUST SAY NOW! Unless your name is Phil Mickelson or Rory McIlroy, the "hinge and hold" style of chipping is probably doing you more harm than good. The technique is simple. 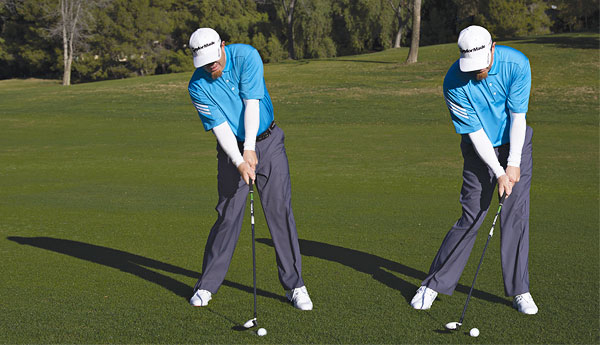 You hinge the wrists on the backswing and hold that hinge through the chip. It sounds easy, and I see a lot of amateurs doing it. But it's actually one of the most difficult ways to successfully chip. When you "hinge and hold," you basically eliminate the bounce of the wedge. Your margin for error shrinks considerably, and unless you hit the ball first at the perfect angle like Mickelson and McIlroy, you're going to hit a lot of fat chip shots. To cure this bad habit, let the hands release more! The more the hands release, the more your club's bounce will help prevent you from hitting it fat. The key is to trust that the bounce will do its job. So practice swinging the club with one hand at a time, and be sure to let those wrists hinge and unhinge. It's probably going to feel a little like you're using a lot of wrist at first, but trust me, you're not. As you practice, you'll soon see that when you chip with more release in the hands, your chips not only travel higher, but they spin more, too. 9 BAD LAGS: CUT THEM OUT! If you're struggling with your lag putting, odds are, you aren't doing enough due diligence before you stroke your putt. Ask yourself, when was the last time you looked at a lengthy putt from more angles than just one? Look, I'm no advocate for slow play, but if there are a few seconds where it's okay to take a little extra time, use it before a long putt. Inspect the hole from two sides of the hole, the high point on the green, even from the hole (not pictured). The more you get a look at the green, the more likely you'll avoid any unknown subtleties in breaks and slope. Once you have a good look, be confident in your assessment, and make a good solid stroke and try to make it! Good lag putting doesn't mean not trying to make the putt. It means making sure your missed putts aren't far from the hole. 10 MISSING SHORT PUTTS: ADIÓS! Confidence is probably the most important element of good short putting. If you're hesitant over the ball and through the stroke, you're going to miss far more putts than you make. For instance, the top photo shows a very unconfident position, where my entire head and upper body have turned toward the hole in an attempt to see and guide the ball in. Of course, I missed the putt, too. Excessive twisting of the body and head will ruin your putting stroke. In the lower photo, I'm much steadier, and my head and upper-body position are rock-solid and stay the same through the stroke. Really, the only major difference here from my address position is that my left shoulder is higher than my right, meaning I've made a steady stroke using my shoulders and not my hands. I also didn't lift my upper body up in any attempt to will the ball into the hole. To get better with your short putts, turn to this issue's Short Game article by Susie Corona. She nailed it when she said it's best to hold your "Y" and make a confident, accelerating stroke. 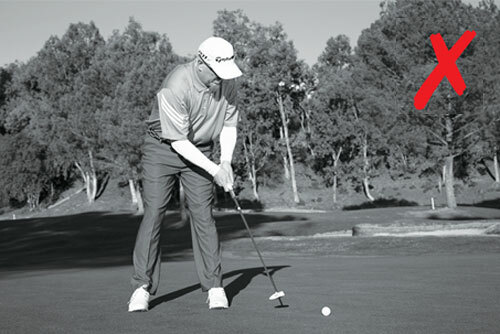 Do that, and you'll start making a lot more short putts. Stay steady and rock the shoulders. You'll dial more short putts.